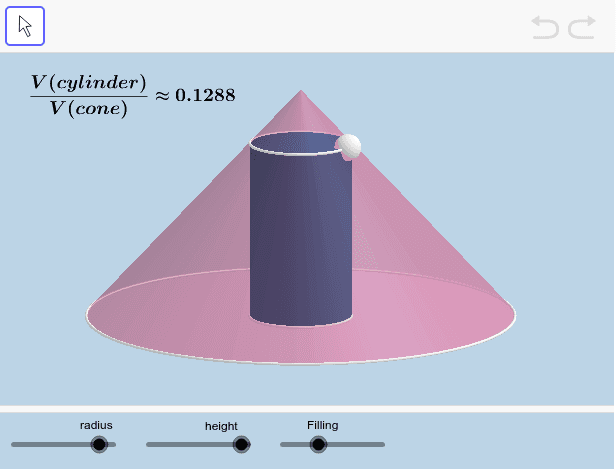 The applet below shows a right circular cylinder inscribed inside a right circular cone. Interact with this applet for a few minutes. Given any right circular cone with a right circular cylinder inscribed inside it, what percent of the volume of the cone does such a cylinder with maximum possible volume occupy? Use calculus to formally prove what this applet informally suggests.